This is good if you f*ck-up things on your 3DS, thing that happened to a friend. 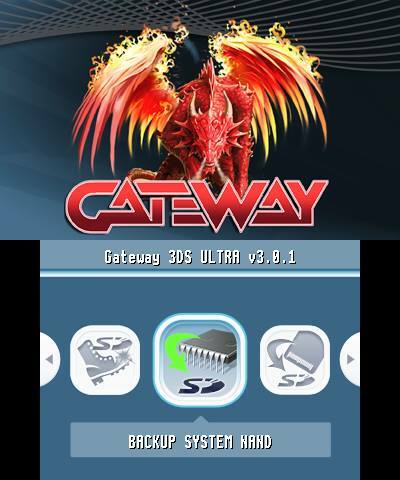 1.- Download the Gateway Exploit, decompress it and move it to the root of your SD Card. 2.- Put your SD Card into the 3DS. 5.- Select the "Backup system NAND" option, and press Start/A. 6.- Let it backup it, and press A when the proccess is finished. And thats all, now you have succesfully backup your NAND!